There are times when our efforts and expertise are not enough to get a job done. So we look for someone else to do it for us. From plumbing to electrical works, we need some professional contractors to get everything done. Nowadays, it is very rare to find a work done free of charge, so expect to get an invoice. 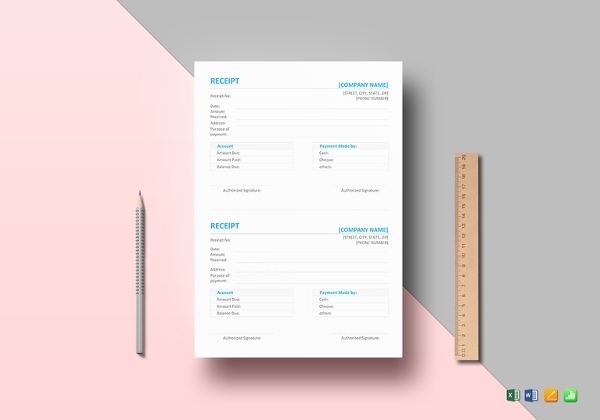 Most contractors always carry a receipt with them in order to properly document and bill their customers for a service offered. 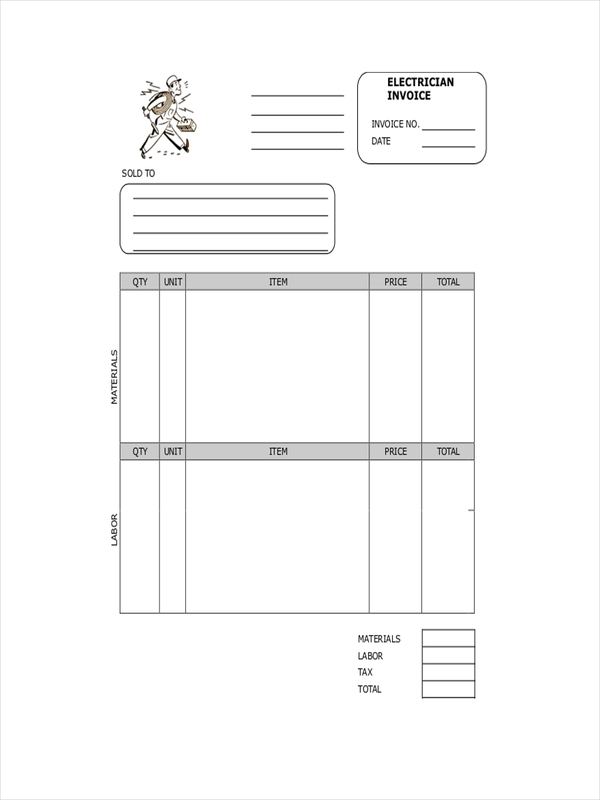 They prepare receipt examples, so that all they have to do is supply the details of the job and all is well. It allows them to move on to their next stop quickly. 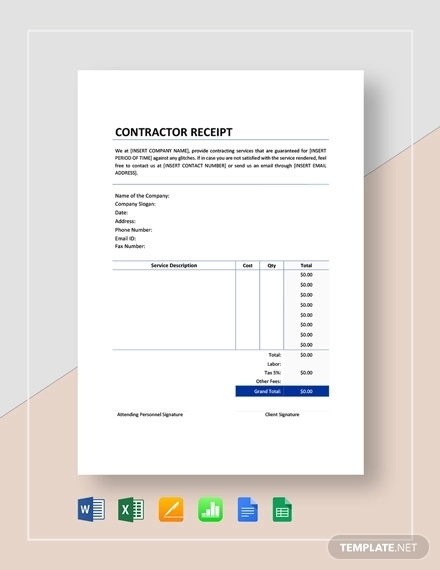 What Is a Contractor Receipt? 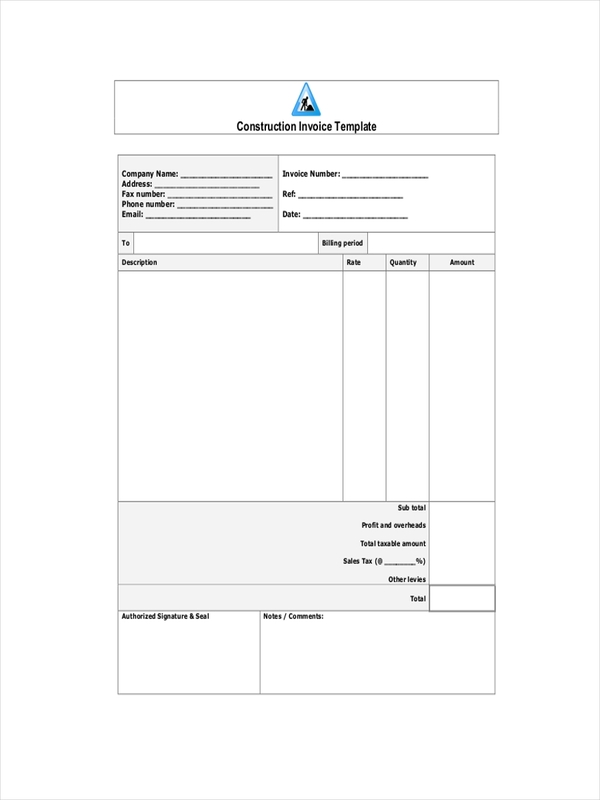 A contractor receipt is a document containing an itemized list of the services or job availed by a customer. It could vary from different things like building material, prices, and labor costs. 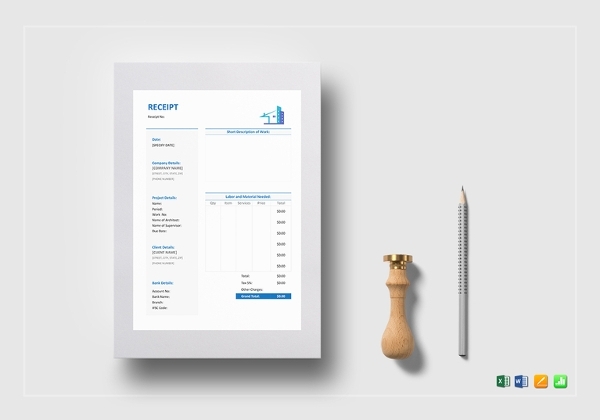 This free receipt is provided to a customer to properly state and present the materials and necessary things needed to get the job finished and how much it would cost. Usually, receipts have their formatting standard. That can also be applied in a contractor receipt. It contains the business or contractor’s name, the items or materials and their corresponding prices, and the customer’s name. 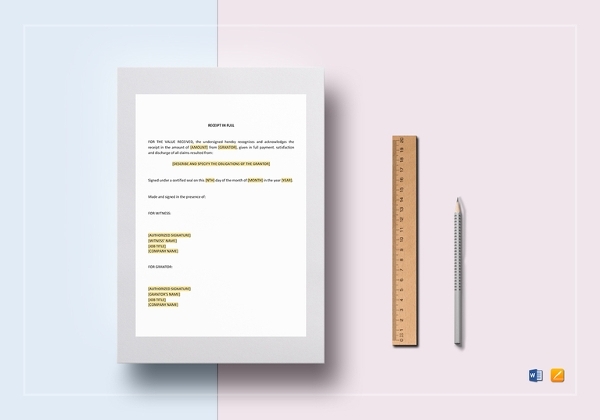 It doesn’t have to be too detailed as long as all the important information are included. 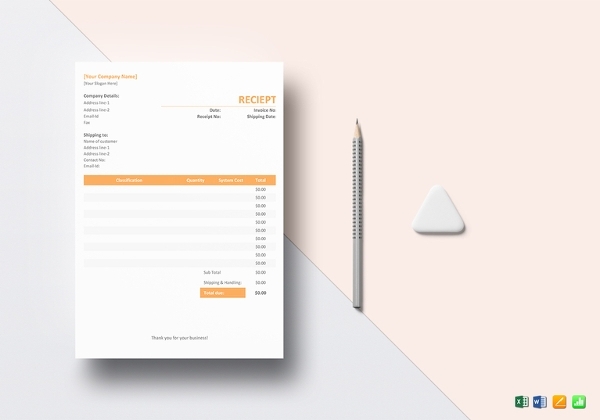 Due to the emergence of new technologies, receipts now come in a variety of formats. 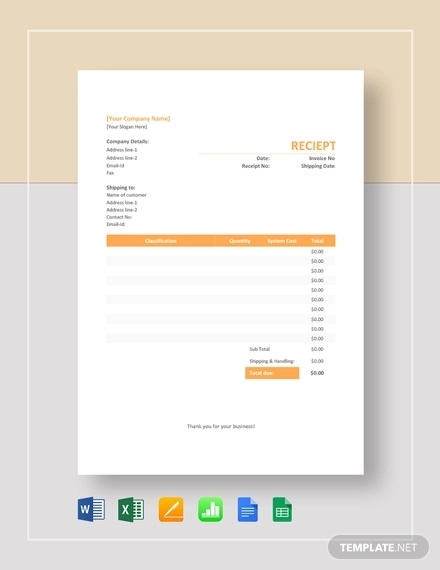 You can have receipt examples in Word, PDF, and Excel. Whichever format you use is fine. However, you have to first consider the things that should be in your receipt. 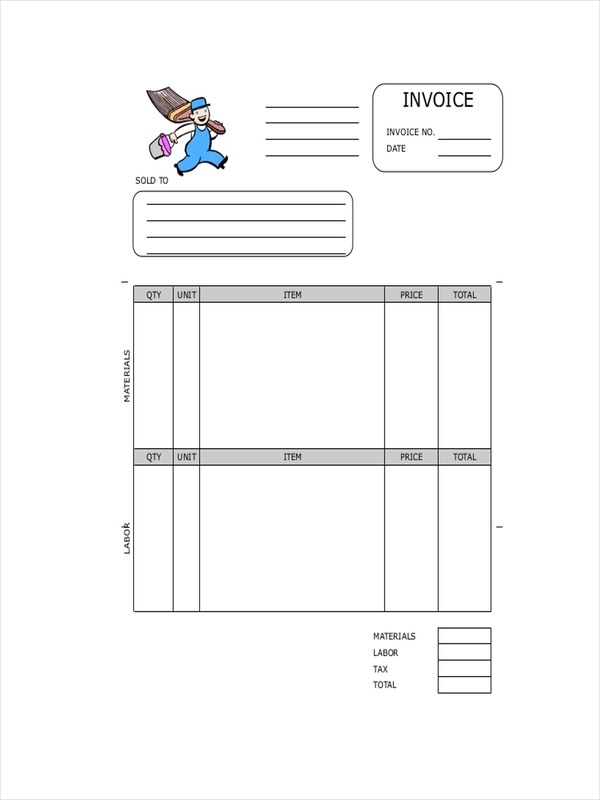 Write the business details. Start with your business details and make sure to write it on top. Make sure you include your address and contact details. Leave space for the items. Always dedicate sufficient space, preferably at the center, for inputting the items or services availed. Include customer information. Never forget to write the customer’s details as well as a space for his/her signature. Contractors have their own way of doing their transactions, and that includes handing out receipts. Some would usually prepare it before doing the job. However, this procedure requires an ample amount of time for preparations and discussions. Electrical and paint jobs for example, can be prepared beforehand. For professionals who have been in the industry for quite a long time, they would usually write down the materials that will be needed, do some store canvass for the prices, and present it to you for approval. Once complete, they would prepare the receipt and give it to you for final inspection. 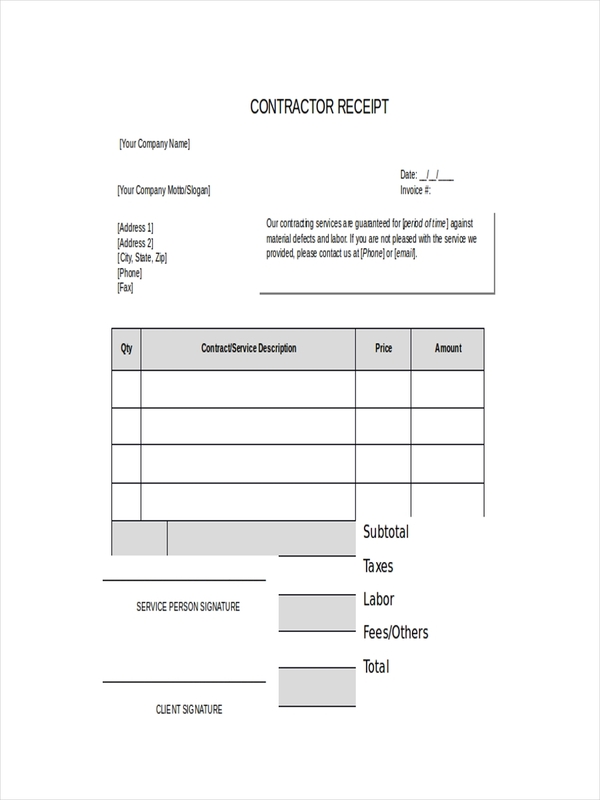 Another way of getting an contractor receipt is after the service or job is done. 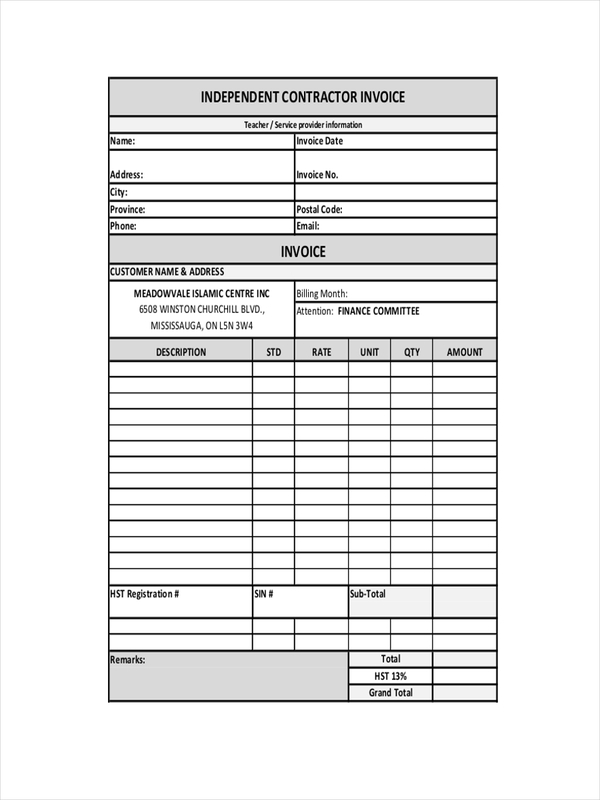 This is common among plumbing invoice and construction works. Here, they present to you the type of work and necessary materials needed to complete the job. Most contractors, depending on the agreement, would ask you to buy the materials yourselves so you can have the freedom to choose according to your style or budget. While some others would bring the materials in to complete the work and once the job is done, hand you over the receipt with the prices plus the labor cost. All these should always be done in mutual agreement and proper consent.